Ralf Nelson Elliott is an American accountant. He was born in 1871. From the age of 20 he worked in executive positions for railroad companies in Mexico. Later he entered the accounting field and was known as a qualified economist. Elliott took part in international government projects, was appreciated as auditor and consultant. He published several books on business organization, economic and social issues. 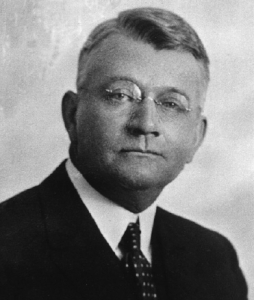 In 1927 Elliott started successful consulting business. Unfortunately, by 1929 malignant anemia had left him bedridden. Nevertheless, Elliot remained a man of action and creativity and therefore continued his work despite the serious illness. His studies were focused on stock market. Elliot was influenced by works of Charles Dow and Robert Rhea. Having investigated the equity market, he discovered new unknown patterns of price movement. After the thorough analysis which took him several years, Elliott presented his conclusions to the financial world. When Elliot’s discoveries proved to be practically useful, his articles were published in popular magazines and newsletters. Elliot himself became an analyst whose opinion was considered by biggest investors. In 1938 appeared the book “The Wave Principle” where he detailed the results of his studies and described his method. His next book entitled “Nature`s Law – The Secret of the Universe” was published in 1946. We can say that Elliot continued the Dow’s theory of cycles, waves and ripples on ascending and descending market trends. He emphasized the fact that the activity of great mass of people results in price changes regulated by specific laws that can be traced in different fields. Elliot compares them to nature’s laws and gives the examples of the similar patterns in flora and fauna. He stated that crowd behavior has several psychological stages, whether this is a slave rebellion or stock exchange trading. The development of both can be traced on different timeframes (from minutes to centuries). The author describes the peculiarities and signs of changeability for different phases and in what way it is possible to take an advantage of it. According to the wave principle each market event can be considered as an effect and cause of important information. This interconnection can be explained by social nature of humans. Therefore, this process generates the repeating figures. According to Elliot, waves are the models of directed motion. 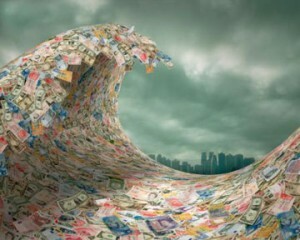 Each wave has one of two possible functions: action or reaction. Particularly, each wave can stimulate the development of the upper wave or interrupt it. The relative direction of a wave defines its function. As a rule, waves are interchanged according to their length: long-short etc. Each wave can be divided into several short waves. Therefore waves are fractal, i.e. on the same part of the chart we can observe waves of different scale, depending on the timeframe. We can come to a conclusion that Ralf Nelson Elliot was some sort of romantic scientist, partly philosopher, partly naturalist. His theories are still used by traders, though some of them accuse Elliott in cheating. Classical wave analysis is quite complicated but the examination of its underlying concepts can be useful to forecast price movements and levels. This entry was posted on Tuesday, February 14th, 2012 at 2:09 pm	and is filed under Trading. You can follow any responses to this entry through the RSS 2.0 feed. You can leave a response, or trackback from your own site.